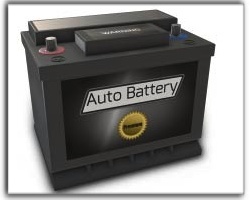 In today’s Dan’s Auto Service auto care blog, we are focusing on battery maintenance. Eventually your car battery will fail and you will need to replace it. In fact, 70% don’t even make it four years. There are some things Taberg drivers can do, however, to make their battery last a little longer. It’s all about the flow of electrical power. When you start your car, the battery uses power to get your engine cranking. As your engine runs, your alternator generates electricity to run all your electrical systems: like lights, a half dozen computers, anti-lock brake system, traction control, power windows, electronic fuel injectors, stability control, air conditioning, transmission servos – the list goes on. Any leftover electricity goes to recharge your car battery. Then you turn on your radio and seat heaters; maybe plug in your cell phone and computer; the kids watch a DVD and pretty soon there isn’t much extra electricity to go back into the battery. Now, if you were on a long New York road trip, no sweat – you’d have plenty of time to fully recharge your battery. But not if you’re making stops around Taberg. Every time you start your car engine, your battery takes that big hit again. Multiple starts – multiple hits. By the time you get home, you have less than a full charge. When the battery is continuously in a discharged state, it loses its ability to fully recharge. This starts a downward spiral in your battery life. Now when your battery is on its way to getting this bad, your alternator is working overtime trying to keep it charged – which causes the alternator to wear out prematurely. A lot of experienced Taberg technicians suggest replacing your battery after five years, even though it hasn’t yet failed, as a maintenance item to extend alternator life. Now, there is something you can do to help your battery last longer by hooking up a battery charger once a month in the summer and every three months in winter. This will ensure your car battery routinely has a full charge. You can do this less often in the winter because the electrochemical process slows down when it’s colder and less damage is done when your battery is low. Computerized battery chargers are real easy to use because they monitor and control the charging rate to keep the battery from overheating while it’s charging. We recommend that you ask your considerate Dan’s Auto Service advisor to test your battery so you know how much life is left. If it’s good but needs a maintenance service, he’ll have it cleaned up and make sure the connections and cables are good. If it’s looking like you ought to replace it, he’ll help you with a battery that’s right for your car and driving needs.